Marco Zenone is currently an undergraduate student studying Health Sciences at Simon Fraser University, expected to finish his BA (Hons) in Spring 2018. He has specific research interests in youth engagement, policies surrounding sugary beverages, and public health ethics. Marco has extensive experience in advocacy and health promotion from working with numerous community organizations on topics such as injury prevention, smoking cessation, and the introduction of a tax on sugary beverages. A recent recipient of the Vicky Bach Memorial Book Prize recognizing a student with exceptional promise in public health, Marco is eager to continue his community engagement and research activity. Marco has been involved with Bridge for Health as the Youth Engagement Lead for the last 3 years. In his time with Bridge for Health, he co-authored a report titled “Engaging the Leaders of Tomorrow: Briefing Report on Youth Engagement for the 9TH Global Conference on Health Promotion”. This report was written to emphasize the importance of proper youth engagement in major health promotion events, to advance the health promotion efforts. This report was summarized in a short PSA, and has been shown at international conferences in Brazil, PEI (Canada), and the United States. 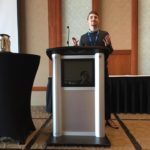 Marco was invited to travel to PEI in October 2016, to co-host a Youth Networking Session and introduce the aforementioned video developed, at the 6th Global Forum on Health Promotion. Marco’s passion for health promotion is derived from the very simple belief that people deserve to be in physical and social environments that are conducive to well-being and health.